For many people with mental health issues in Australia, infringements on human rights and inequality are everyday lived experiences through forced psychiatric treatment and detention and restrictions on their ability to manage their own affairs. The many social and economic disadvantages they encounter mean that free independent and accessible specialist mental health legal services are critical to facilitating access to justice. The right to access to justice and the obligation for the state to ensure its effective provision for people with disabilities is enshrined in Article 13 of the UN Convention on the Rights of Persons with Disabilities (CRPD). Victoria’s Mental Health Legal Centre (MHLC) – one of only two specialist mental health legal centres in Australia – assists in excess of 1500 clients a year with a range of legal issues relating to their mental illness. In early February Victoria Legal Aid (VLA) informed MHLC of its decision to cut MHLC’s funding at the end June 2013 and to redirect those funds (approximately $360,000) to VLA itself. VLA’s decision means there is a risk MHLC may have to close its doors in a matter of months unless other funding can be secured. This will mean a loss of the free independent legal advice, advocacy, education and law reform programs for people with mental illness, that the MHLC has successfully delivered for 26 years. MHLC’s ground-breaking test cases have shone a light into places where human rights abuses and infringements can go unseen. Vindication of the rights of people with mental illness under the Victorian Charter of Human Rights and Responsibilities (the Charter) and the CRPD has been achieved through examples such as the inaugural declaration under the Charter of breach of our client’s rights to a fair hearing before the Mental Health Review Board through failure to conduct a timely review of his involuntary treatment, better scrutiny of side effects of psychiatric treatment that is potentially cruel, inhuman or degrading, enforcing our client’s rights to control his own money and choose where to live, and obtaining an order for release of our client from accommodation where she was unlawfully detained by her psychiatrist’s control. The UN Human Rights Committee has emphasised that “the availability or absence of legal assistance often determines whether or not a person can access the relevant proceedings or participate in them in a meaningful way” and impacts on the right equality before the law and to a fair hearing, enshrined in Article 14 of the International Covenant on Civil and Political Rights. This is critical in a jurisdiction such as the Mental Health Review Board where consumers can feel disempowered and struggle to have their voice heard. But access to justice is not solely about direct legal service provision. Community legal centres have long recognised that a critical means of ensuring vulnerable and disadvantaged groups in the community have access to justice is through addressing systemic sources of disadvantage through law reform work and strategies for prevention and early intervention of legal issues through community legal education projects. The Victorian Parliamentary Law Reform Committee earlier this month singled out specialist community legal centres as an important means of providing people with disabilities with access to justice, and recommended adequate funding in light of high demand within the community. Broad social justice objectives were what inspired the establishment of the MHLC. Since then, MHLC has advocated for improvements to laws and policies to best promote and protect the rights of people with a mental illness including, most recently: the review and development of new mental health laws, promotion of advance directives for mental health, review of laws around guardianship and administration orders, police engagement with people with mental illness, safety for women including female-only psychiatric wards, improvements to health services complaints and involuntary patients’ experiences of the Mental Health Review Board. MHLC’s relationships with non-legal community organisations are another way of meeting the access to justice needs of people with psychiatric disability, as was emphasised in the recent Legal Australia-Wide Survey report into legal needs in Victoria. Research confirms the unique legal needs of people with psychiatric disability. Addressing these needs demands specialist mental health legal services, as highlighted by the President of the Law Institute of Victoria (LIV), Reynah Tang, at last month’s National Access to Justice and Pro Bono Conference in Melbourne. In assisting to clients with mental illness to navigate the “fog of the law” the President stressed the LIV’s concern about VLA’s decision to cut MHLC’s funding which will have an adverse impact on access to justice for people with mental illness in Victoria. Principle 18 of the United Nations Principles for the Protection of Persons with Mental Illness and the Improvement of Mental Health Care provides that a person “shall be entitled to choose and appoint a counsel to represent [them] including representation in any complaint procedure or appeal”. Victoria is poised to introduce new mental health laws which the Government intends will “establish a recovery-oriented framework and embed supported decision-making” through tools such as ‘advance statements’ and a ‘nominated person’ scheme. The MHLC is a trusted and recognised resource for and advocate of such tools for self-determination for people with psychiatric disability. If MHLC was forced to close, it would mean that VLA will in effect be the only mental health legal service provider in Victoria, thereby restricting a choice of legal services for some of the most disadvantaged people in our community. 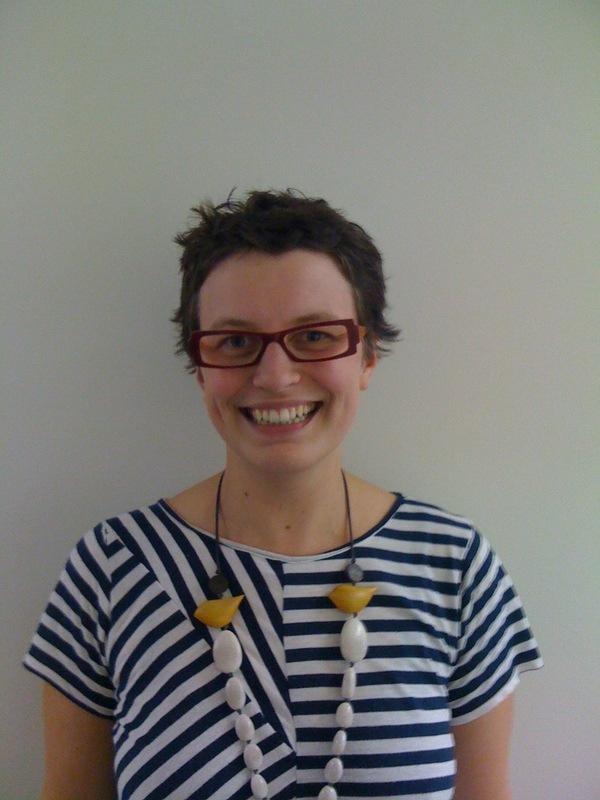 Catherine Leslie is a Lawyer and Policy/Education Officer at the Mental Health Legal Centre in Melbourne. A close relative was recently being seen on a twice daily basis as a voluntary patient by a local Community Assessment Team (CAT) to ensure compliance with antipsychotic medication. She had a well established history of non-compliance and subsequent psychotic relapse, leading to involuntary admissions of several weeks duration. Studies have shown that the duration of psychotic symptoms correlates with the degree of damage psychosis inflicts on the brain and the functional deterioration of the sufferer. My relative decided unilaterally that she’d had enough of the CAT visits and rang the MHLC in Melbourne. I witnessed the call. When asked how to go about terminating CAT supervision, no questions were asked to ascertain the appropriateness of providing the answer and no attempt was made to discover where and who was treating my relative, so that a call could be made either to aid in determining how to advise the patient or to let the treatment team know what to expect. Instead, detailed instructions were provided to the patient that involved seeing her GP, obtaining referral to a private psychiatrist and making an appointment to see that psychiatrist. As the Mental Health Act demands that the patient receive treatment in the least restrictive setting and because the patient was experienced at presenting herself in the best possible light, without revealing the ongoing extensive delusions and hallucinations that characterise her severe mental illness, she was able to refuse entry to the CAT and tell them that she had a scheduled appointment with a private psychiatrist. The CAT had no option but to withdraw as the patient did not reveal any symptoms that would have allowed involuntary status. The patient immediately ceased all medication and the scheduled appointment was 5 weeks away. She had booked a one-off appointment with a psychiatrist who had told her that he could only offer an assessment and then refer her on. The next appointment with a new psychiatrist was a further 6 weeks away. Needless to say, whilst awaiting this appointment, she became floridly psychotic, necessitating both CAT and Police involvement in her involuntary 4 week admission to hospital. Upon discharge, there is absolutely no doubt that she has suffered a decrement in her functioning and deterioration of her personality that may well be permanent. The frustration of her family, including me, has been difficult to bear, as we now try and meet the increased need for care and supervision. Every step along this convoluted path, every professional acted as if they knew best. It was hard to get anyone to truly listen to the family or to get across what difficulties had to be faced on a daily basis. This wasn’t the first time the system failures stacked up to cause further damage instead of to assist recovery and I’m sure it won’t be the last. The plight of the mentally ill in Australia is shameful. Great Piece. I suffered mental illness as was required to represent myself in family court. I was not mentally capable of doing this . I informed the Judge in writing before the 4 days was to commence. Never the less, this was not considered. Unable to continue emotionally, the Judge made the order as requested by the childrens mother., that I have no contact at all (including) written correspondence, with my 5 and 7yr old until they of adult age. Naturally this only being 2weeks ago ,my mental state is “shot”. Its a great step to “admit” mental illness. It is a “giant” step to discriminate against it,like has happened to me.